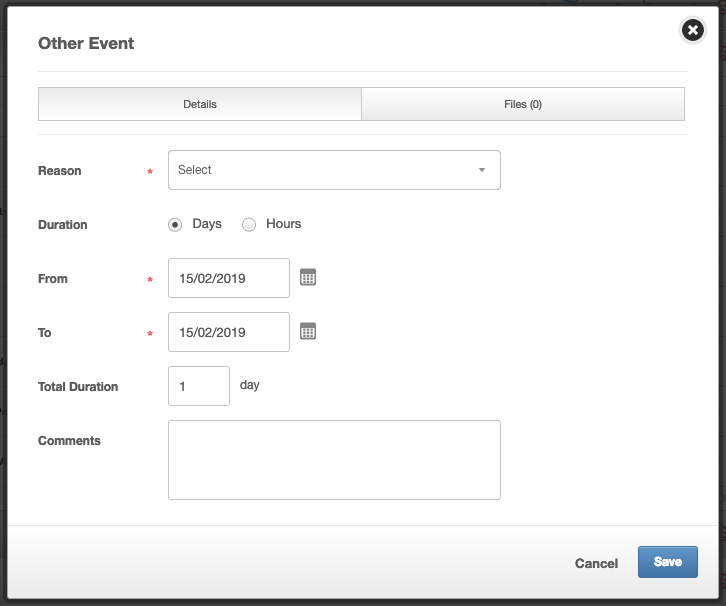 If you're an Admin or manager and would like to know how to add an other event to an employee's record, please click here. 4. Fill in the required fields, use the drop down box to specify the other event reason. This will send an authorisation request to the specified approver. In most cases this would be your manager, however admin can set up specific authorisation rules for these to be directed to someone else.